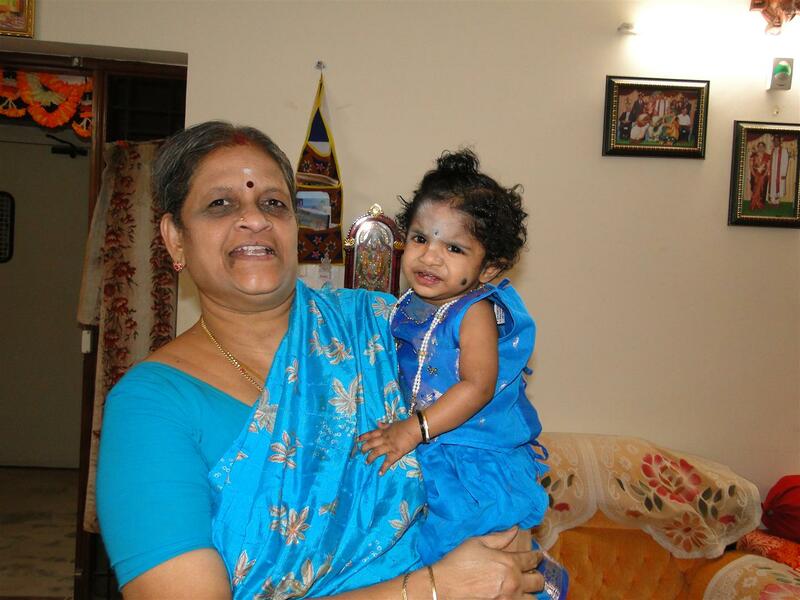 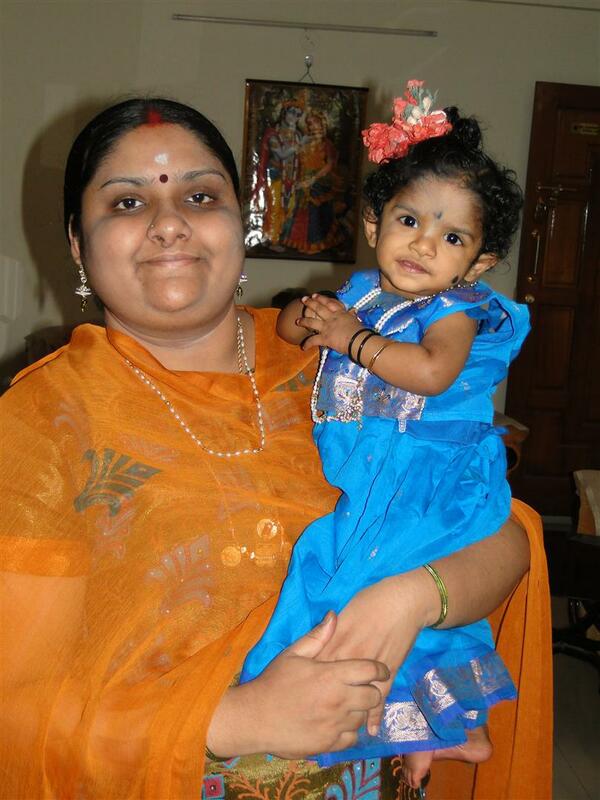 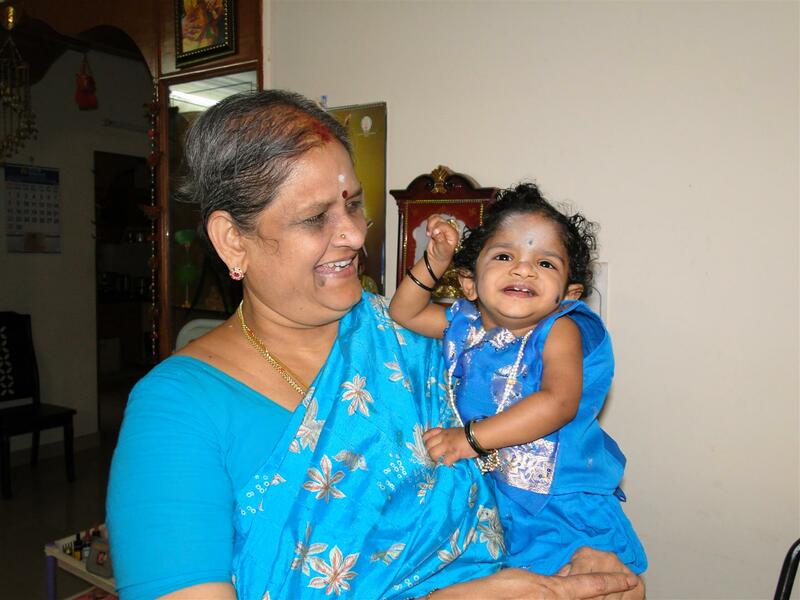 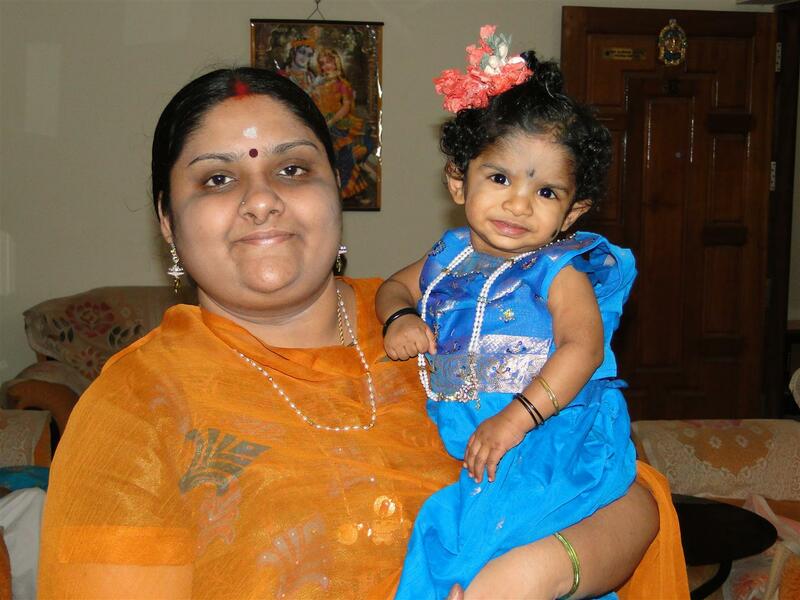 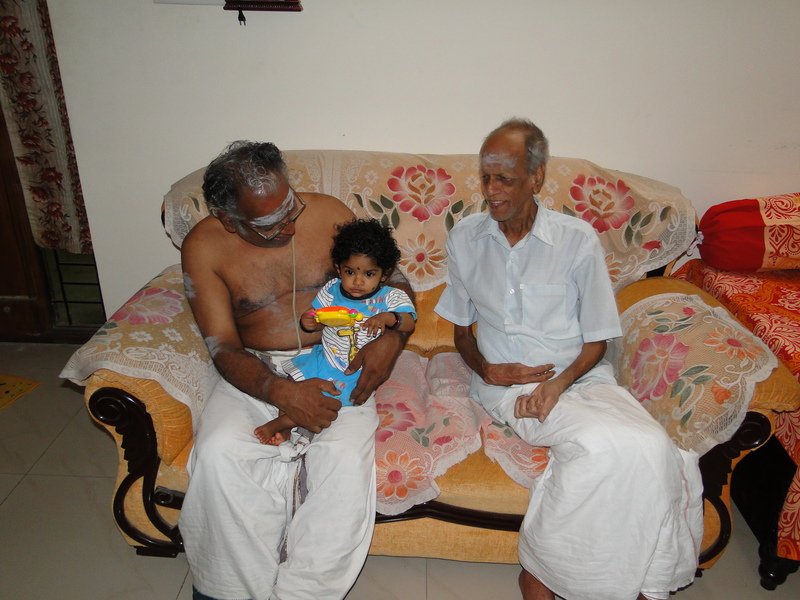 Next Month we are going to Tirupathi to tonsure Adhruth’s hair. 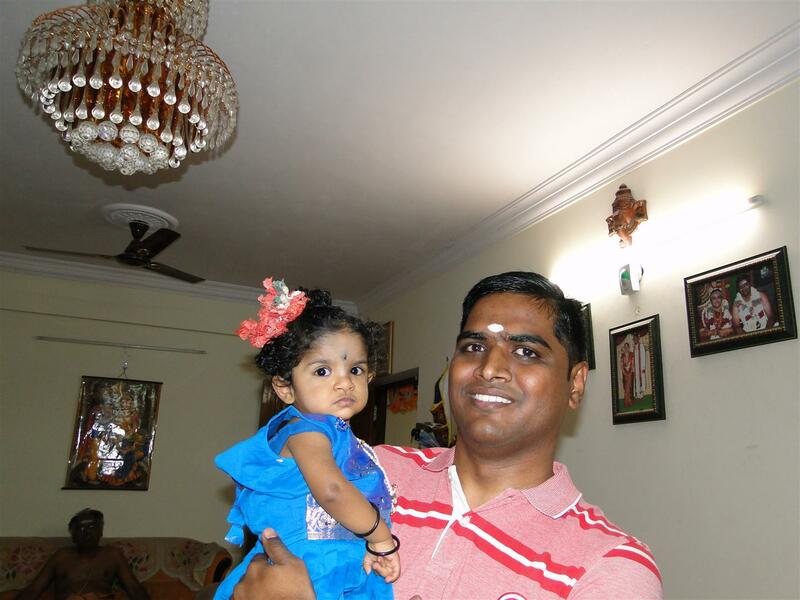 Now it is almost 19 Months and hair has really grown too much. 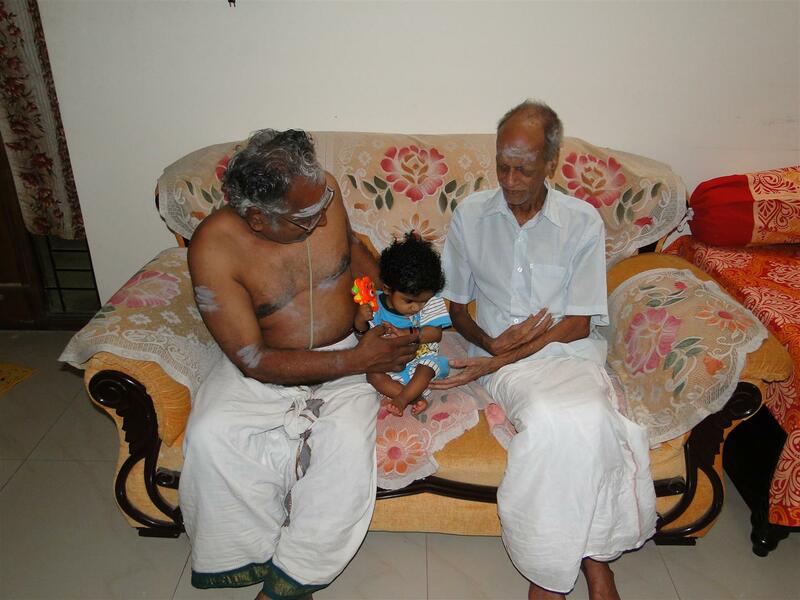 Before the tonsure, we wanted to decorate Adhruth with a Pavadai Chattai Kudumi & Poo. 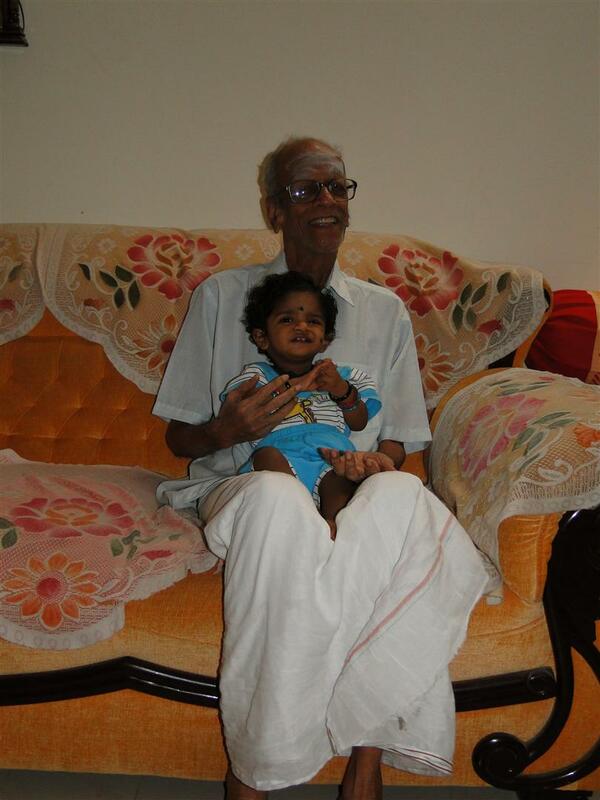 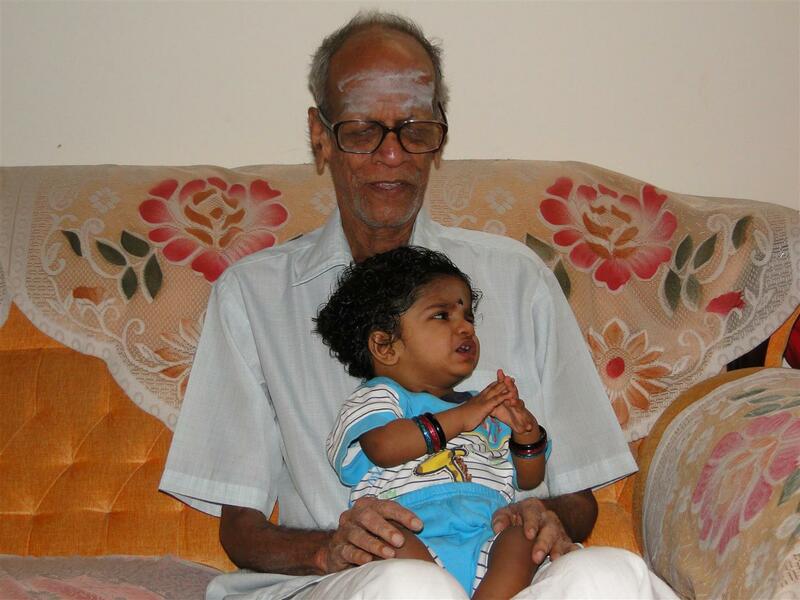 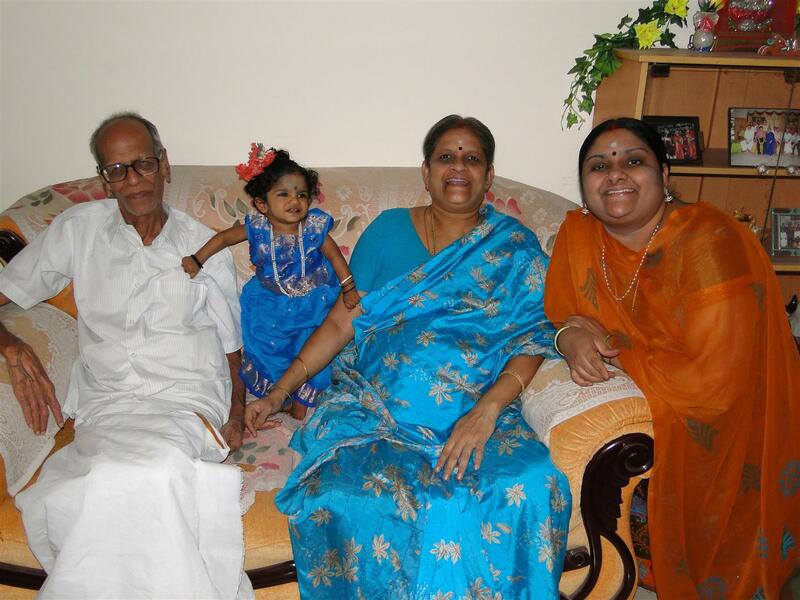 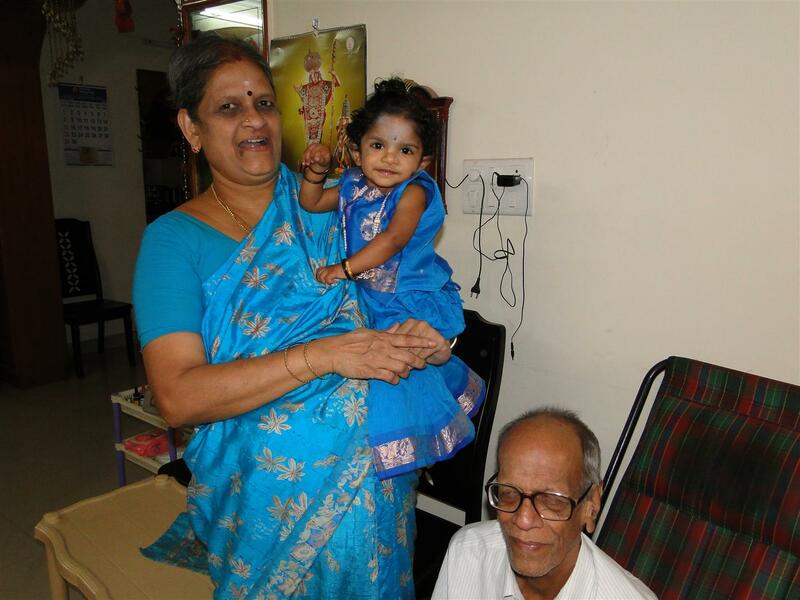 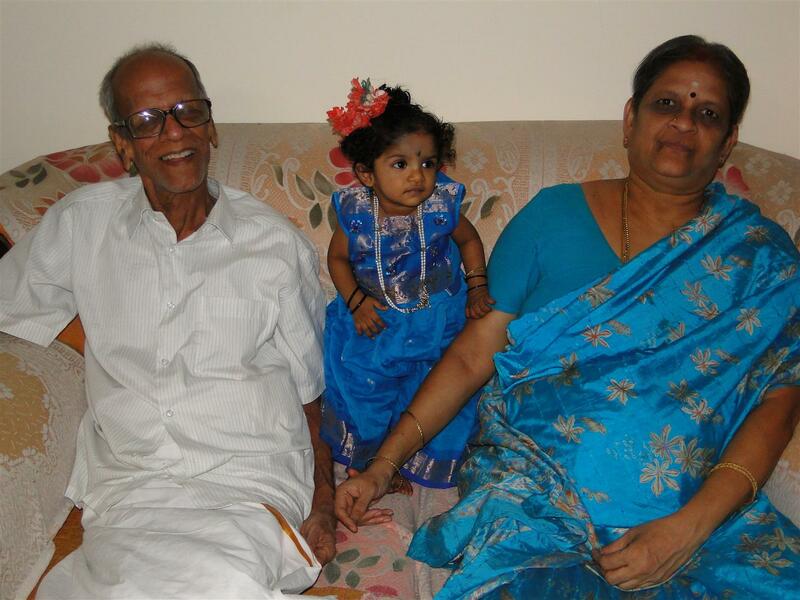 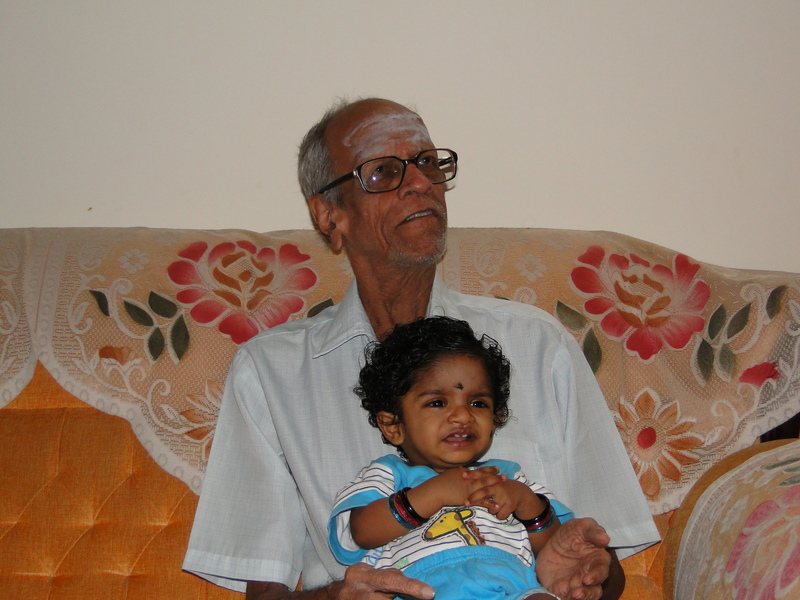 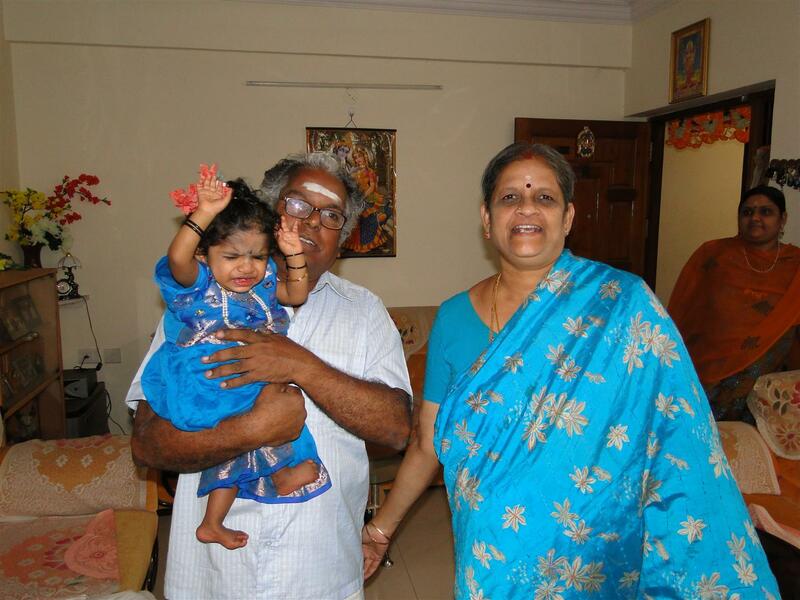 Timing coincided with Adhruth’s Great Grandfather (Madhu’s thatha) coming from Chennai to play with Adhruth.